On Ella: Accentuate the Positive, out April 21 from OKeh/Sony Music Masterworks, the virtuoso violinist reveals the many faces of Fitzgerald that have influenced Carter’s own remarkable path in music. Apart from the title track of Accentuate the Positive, Carter resists the allure of the songstress’ most recognizable hits. Carter has mined tunes from deep within Ella’s bountiful catalogue, and brought them to the surface with a distinct freshness. The reward is rich for the listener. 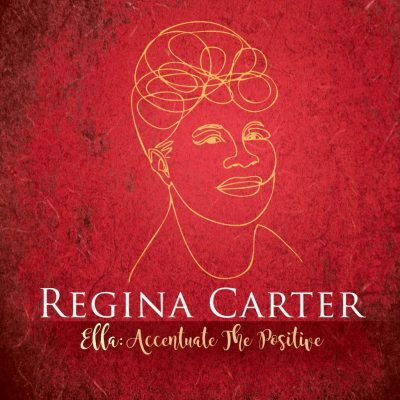 To realize her vision of the album, which transforms the songs through a lens of classic 1950s-’60s soul and blues, Carter calls on an impressive roster of musicians and arrangers. 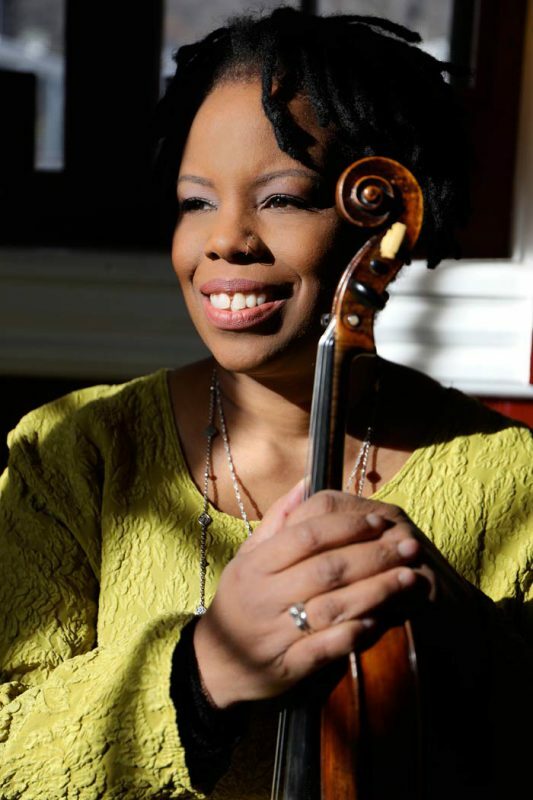 The violinist is accompanied by her longtime rhythm section of bassist Chris Lightcap and drummer Alvester Garnett, and is joined by pianist Xavier Davis and guitarist Marvin Sewell. Both Lightcap and Sewell serve double-duty as arrangers. This talented group is supplemented by in-demand bassist Ben Williams, producer and hitmaker Ray Angry, renowned vocalist Charenee Wade and pianist Mike Wofford, Fitzgerald’s own former accompanist and musical director. Two tracks feature vocals by Carter’s fellow Detroiters, actress and singer Miche Braden; and longtime friend and vocalist extraordinaire Carla Cook, who first introduced Carter to jazz violin while the two were classmates at Cass Technical School. Wofford’s setting of the standard “Dedicated To You” pares the band down to a violin/piano/bass trio, allowing Carter’s touching lyricism to shine. Angry gives “Reach for Tomorrow” a shimmering ballad treatment, while Wade’s gutsy R&B take on “Undecided” shines the spotlight on Cook’s powerhouse, no-nonsense vocal. Carter pairs off with Sewell for an intimate duo rendition of “Judy,” the song that jump-started Fitzgerald’s career on the stage of the Apollo Theater. Finally, Sewell’s gutbucket slide guitar fuels the rootsy version of “I’ll Chase the Blues Away” to bring the album to a close. A student of the violin from age four, Detroit native Carter first focused on listening to classical music. But a vast wealth of influences crept into her ears via her music-loving family. Her older brothers brought home Motown and other soul records, an influence certainly felt on Accentuate the Positive. From her parents’ record collection she would pull titles at random — one day jazz albums, the next, movie soundtracks. It was through that treasure trove that she first heard Ella and instantly was hooked. Accentuate the Positive is the end result of Carter’s daily communion with and lifelong devotion to the music of Ella Fitzgerald. In her heartfelt and deeply personal interpretations of these songs we can hear the same degree of warmth, feeling and elegance that imbued the legendary singer’s work as filtered through Carter’s singular voice. And that’s nothing but positive.